A Lego train set is an ideal project for kids and adults who enjoy building. No matter what age you are, immersing yourself in a Lego build can give you the feeling of great accomplishment. Starting kids young on Lego helps them build STEM skills that they will use later in life. Family involvement can encourage children to improve their motor skills with Lego train sets. A Lego train set is a good project for a family to do together or an individual who likes to focus on the tiny details of a project. Lego train sets are popular for gifts, especially during the holidays! Enjoy this list of the best Lego train sets as you make your choice. This Lego City passenger train set is easy for children ages six to 12. The train includes a Bluetooth remote to drive the train. The kit comes with 677 pieces and needs batteries to work. Once the realistic passenger train is put together, you can remove the car roofs and play with the minifigures inside the cars. The circular track includes four straight pieces and 16 curved pieces. A platform and train signal are included too! Builders love this set because of the creative play and remote. This set is fun for all ages. Younger kids may need assistance. This remote-control train set has 1226 pieces and is an excellent choice for kids ages six to 12. This is an elaborate set, which has a cargo train with four cars. There is also a control center, a forklift, and an armored truck. The set comes with six minifigures, which include a robber and a security officer! Acting out a big heist with this train set is fun for kids of all ages. This set is big enough to have hours of fun building and then hours of fun with the finished product. Large enough for kids to build and play for several days! There are 16 curved and 16 straight tracks with the train set. Little accessories and details give older kids more opportunities for creative play. It can use certain batteries fast! This Lego City cargo train comes in 888 pieces. It has a circular train track that includes 20 curved pieces and eight straight pieces. There are many accessory pieces once the train is built. Enjoy pretending to be a farmer with a minifigure, cow, straw, fencing, and gates. You can also use the three other minifigures to pretend play. There is a fuel wagon, a truck, a train station, and a forklift. Once this unique kit is built, it supplies hours of imaginative play for kids of all ages. This train set includes a seven-speed remote control. Many details and accessory items for extended play past the build. Can be difficult to put together. Check the channels regularly for a good signal. This is a smaller Lego train set for people who are just starting out with bigger Lego builds. There are 610 pieces in this set. The Lego City High-Speed Passenger Train has a remote control that has seven speeds. Removing the roofs will allow builders to see inside and be more imaginative. This set comes with three minifigures. A train conductor, a cyclist, and a traveler are the minifigures included with this set. There is also a train station platform with seats and a train crossing section. This is an easy build for a young child who has assistance with the instructions. 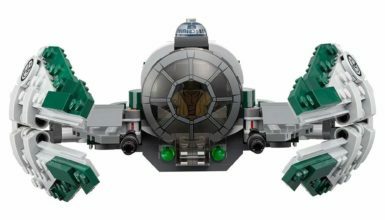 A great step toward harder Lego sets. A good gift for kids who love Lego. You can combine this train set with more tracks sold separately. The high-speed train has good detail and makes this a unique set. Adding more minifigures, tracks and accessories will extend play time. While the Lego Horizon Express does not include tracks and power functions are an upgrade sold separately, this is a great train for adults and teens to build. This train is more like a model or collectible than a standard train set. It is included in the list because it is intricate, and builders love it! You get six minifigures with the set and some great accessories. The train has a sliding glass door in the bathroom, which you can see by lifting the roof off of the locomotive. 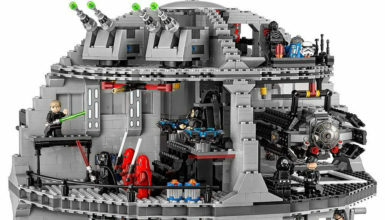 There are 1352 pieces with this set. This train is a great build for teenagers! A good build to display when you are finished. Unique colors and details that aren’t seen on most Lego trains. Tracks and electronics are sold separate from the train. With this set you’ll get three wagons. This red cargo train includes four minifigures included in the 831 pieces. The train has a remote control and needs nine AAA batteries to run. This is a great train set for kids and adults that like to build separate things and add them to train sets. If you have several sets, animals, or accessories, they would work well with this set. The train is fun and nice for kids to show off to friends. The age range on this Lego City train set is six to 12. This train comes with eight straight, 16 flex, and 16 curves pieces. The set is a clever idea for a family project. If you have kids that like to take the set apart, hold onto the instructions! The Lego Creator Emerald Night Train is very popular among builders who are 14+. This train set has a steam locomotive. 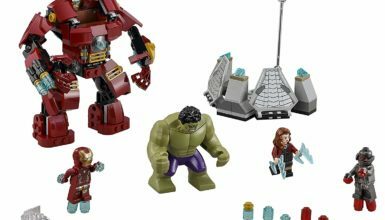 The set has 1,085 pieces, which includes three minifigures. The Night Train is made with colors that are normally not found in Lego train kits. The train is 27.2 inches long. Once this train is done, everyone will enjoy how detailed it is. This train is a beautiful display piece for a shelf in the bedroom or living room. You can add parts to make the train motorized. The remote and power functions need to be bought separately. This Lego City passenger train is for ages six to 12. It comes with a three-channel remote control. The train has three speeds and moves forward and backward. There are four straight tracks and 16 curved pieces. You should have a total of ten AA batteries for the train and remote to work. It works with additional tracks, making it a perfect starter set! It uses a lot of batteries. Kids are starting on Lego train sets younger and younger. It is a perfect toy if you want your child immersed in STEM activities at an early age. The Lego Duplo cargo train is for smaller children and has 105 pieces. They can enjoy a boat, cranes, cargo wagons and three Duplo figures. This set is great for children who watch parents or older siblings build with Lego. They will feel like they finally have a set that is perfect for their skill level. Includes a track with 24 pieces. There is a remote-control app. This is an easy set for small children to construct with little help. Make sure small children don’t get water around or on the train. This train set is for small children and uses Duplo bricks. It comes with 52 pieces and includes a train conductor minifigure. Little kids will also love that the set includes a child minifigure. There is a fuel pump, a flower, and a goat! The accessories for this train set are unique. The unique accessories spark imaginative play. 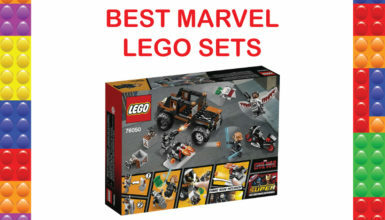 It is a perfect gift for a young child that loves Legos. The set is small enough for toddlers to stay focused and enjoy themselves. It doesn’t have many accessories but the few that it comes with are cute! Whether you are an avid builder or you want to buy a gift for a grandchild, Legos are perfect for hours of entertainment. These train sets are popular for being something that the builder can play with afterward for many hours of fun. Lego train sets are great for people of all ages. This list includes train sets for ages toddler up to adult. Regardless of the skill level, Lego is enjoyed by everyone involved in the build. It doesn’t matter if there are many colorful pieces or just a few, everyone wants to play Lego! Independent play is important and helps children be self-sufficient. A Lego train can help kids with sensory issues gain independence faster. 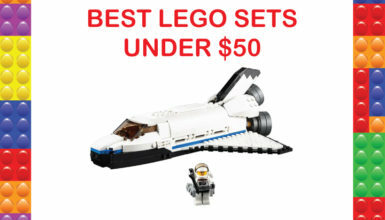 These sets range in price and skill levels but are great to step up each year for kids who love to build. This is what makes a Lego train set a great gift!